Spacing out? Zoning out? This hardly seems like the path to productivity — or creativity. 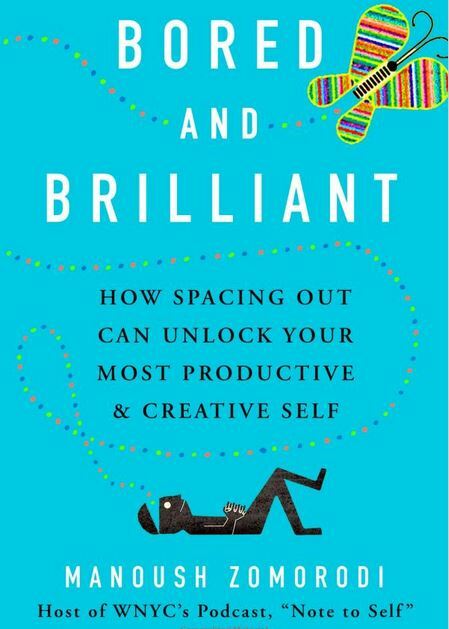 But Manoush Zomorodi, host of WNYC’s Note to Self radio/podcast explores how downtime (spacing out) can produce creativity in a way that over-scheduling yourself cannot. So what is the one device the author claims is most likely to siphon off people’s creative juices? Yep, you guessed it. Your smartphone. Before you hang up, hear her out. She conducted an experiment with tens of thousands of her listeners, who put away their devices — and began to unleash their real potential. If you’d like to learn more about the author, listen to her Note to Self podcasts. This entry was posted in new stuff tuesdays and tagged creativity, original thinking, productivity. Bookmark the permalink. Suga, sweet! I’m going to subscribe to Manoush Zomorodi’s “Note to Self” podcasts. I like to intentionally zone out on the train for this exact reason. We bury our faces in phones all too much.